“I am watching these guys on the travel channel now that are traveling to Koran Korata in Peru, to live with the Machigenga tribe - which I guess is a remote tribe that hasn't had much contact with the "outside world". I know you were doing this so I thought it might interest you. Here is a link that shows all the episodes. I get angry reading some of these site, too much suspense and lack of transparency. I have spent the last hour trying to find a map of the location. 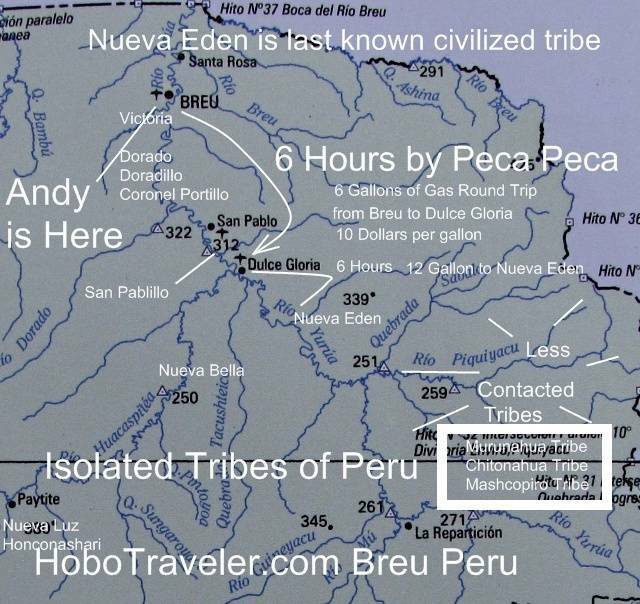 I finally found the a Wiki Page on the Machenguenga Tribe they are going to visit. I added the names of the tribes... how does a tribe that is no contact by will, have a name? Here are the names of the no contact tribes in the area I went to, however they are voluntarily no contact tribes. I will return next year to find and interview more people who have left these tribes. Spelling could and should be wrong, words change, who knows, however this is the best I have. I still have not found a Map to Koran Korata and have my strength to continually search for suspense.